Countryside were marvellous. Our new hardwood gate is gorgeous. They were very helpful with design issues, CAD drawings, suggestions on oil finish, paint colour and type of post, gorgeous hand forged metal hinges and integration of a parcel drop box. 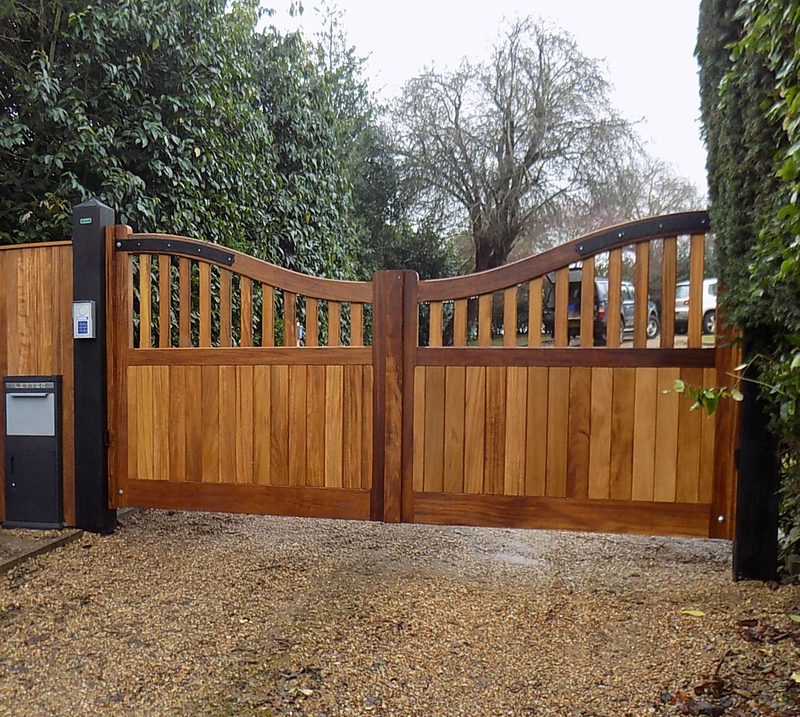 Installation in atrocious weather was seamless and on time, as was co-operation with Anglian Autogates who provided automation. Wouldn't hesitate to recommend them! 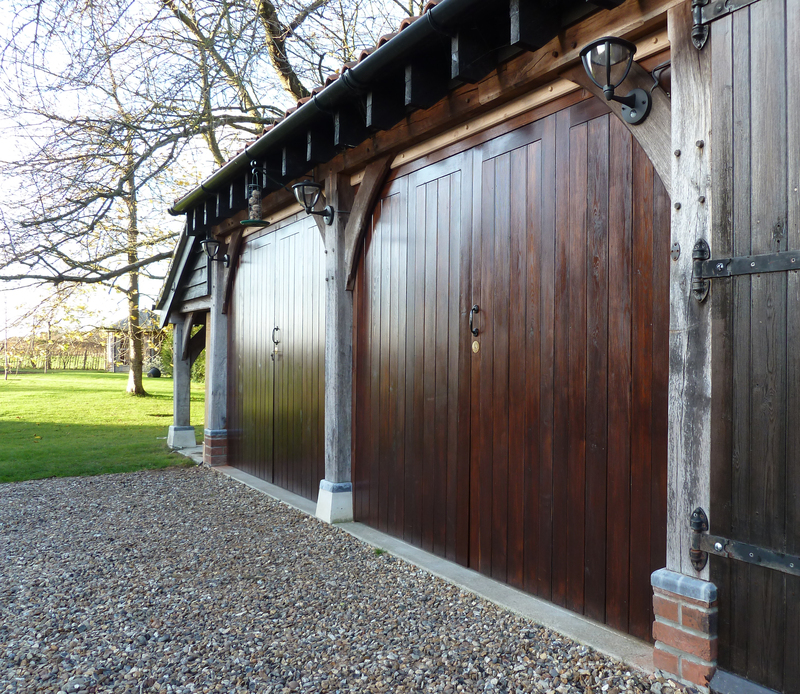 1pr Iroko St Edmundsbury gates finished in Osmo oil and hung onto Douglas Fir posts finished in Black Barn paint. I have one thing to say about your chaps - they're bloody good craftsmen! What a fine job they've made of the doors, despite the awkward bits. I am really very pleased with them - thank you. Thank you again for a very good job and please pass these thanks on to your chaps. 2 sets Solid Bi folding doors made from Larch and finished in Sadolins Jacobean Walnut. Thankyou for an excellent job, your team are excellent ambassadors for your company you should be very proud of them. The neighbours have all commented on their standard of workmanship. "It is a lovely job"
The chaps themselves were super too and hardly drank any tea. Delighted! 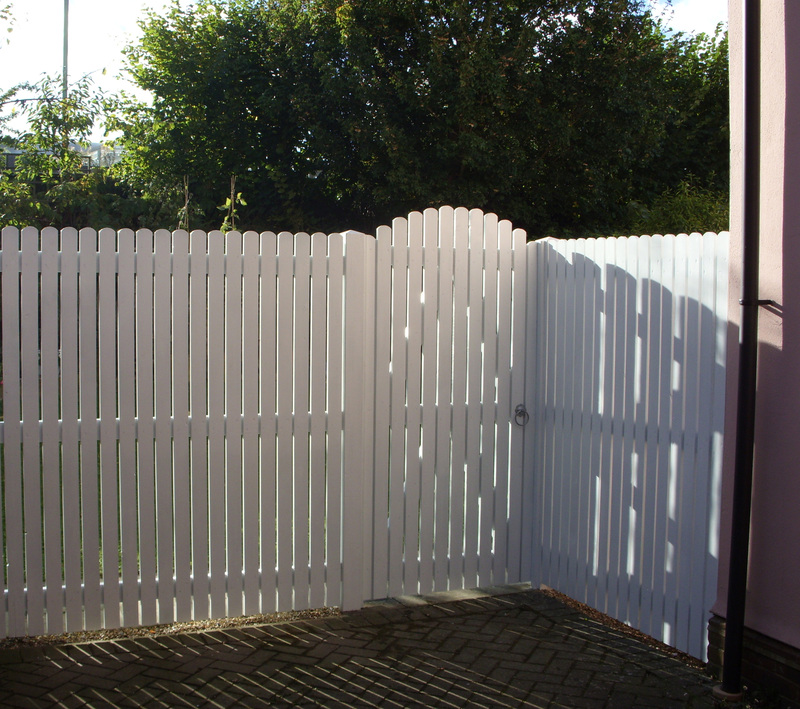 Palisade Screen fencing with matching gate all finished in Daisy white cuprinol shades. Used to block off the end of a driveway. 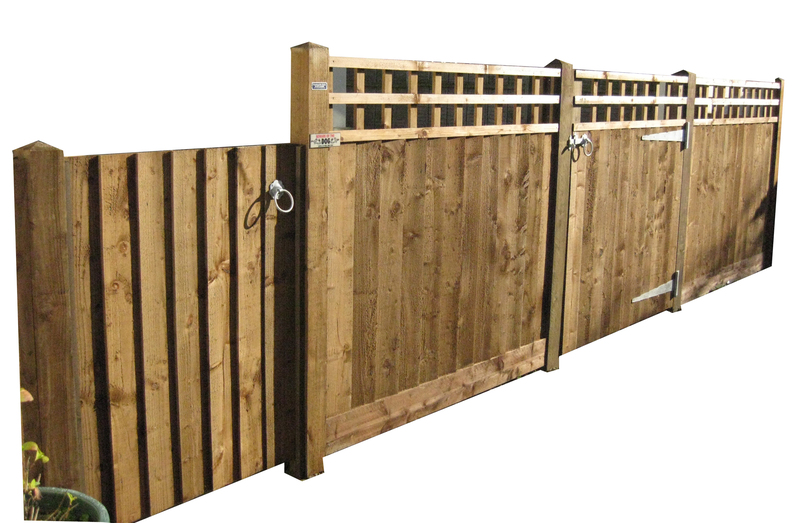 We have purchased two separate fences from countryside fencing and I could not recommend them enough. High quality product made to last. Friendly, efficient service by a professional team from quote to completion. 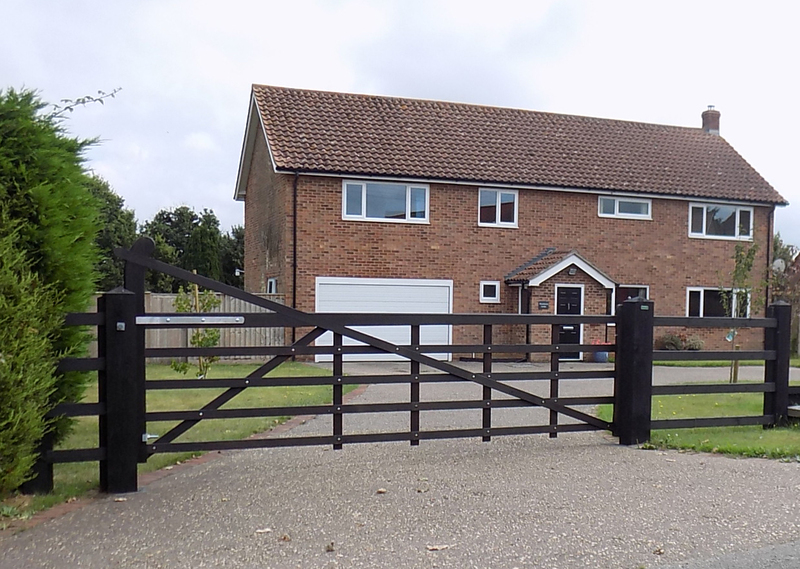 I am very pleased with the gates, great improvement. We are delighted with the gate which was installed yesterday - the men did a great job! 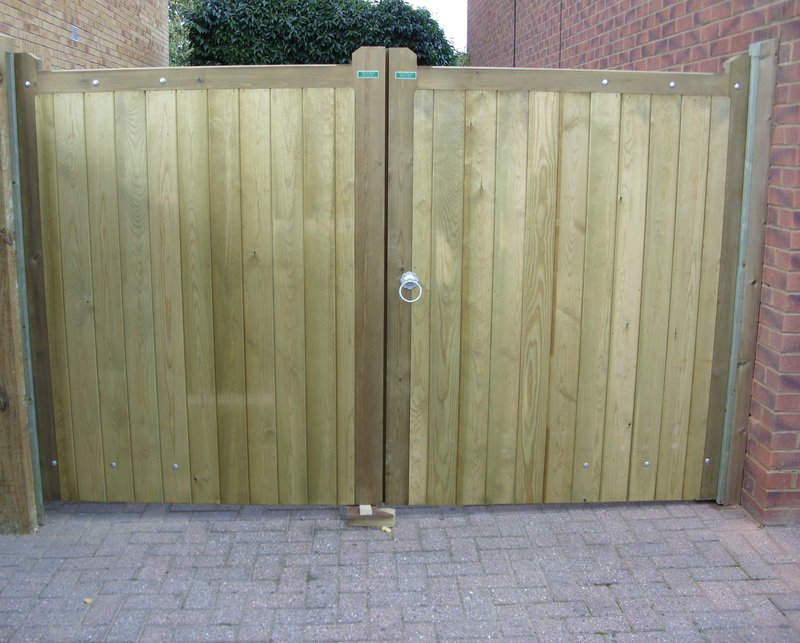 A pair of pressure treated Blyth gates. 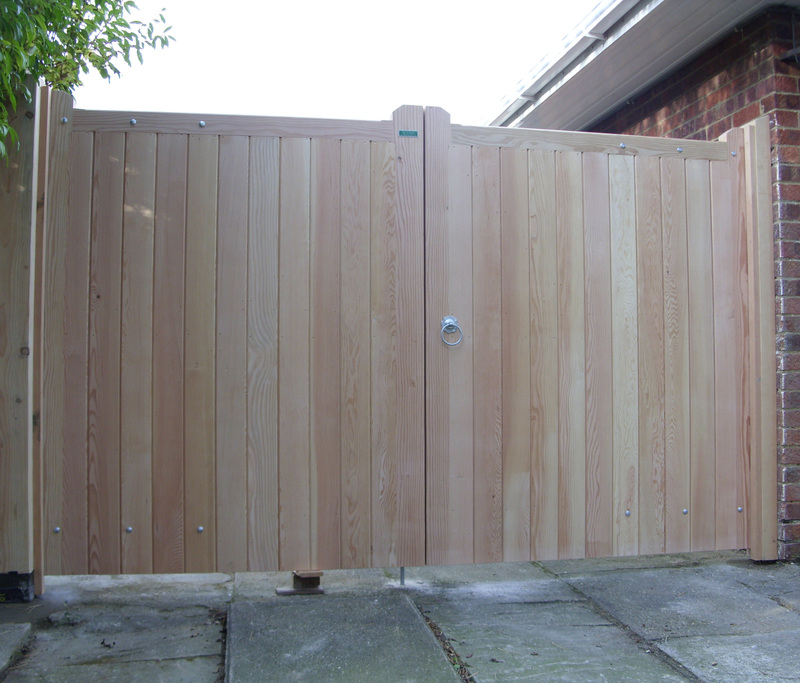 "Thanks for doing a brilliant job of the fence and gates we're very pleased with the results and the workmanship - highly recommend your services"
A Douglas fir Glemham gate with matching side panel, along with additional Closeboard panel fencing. 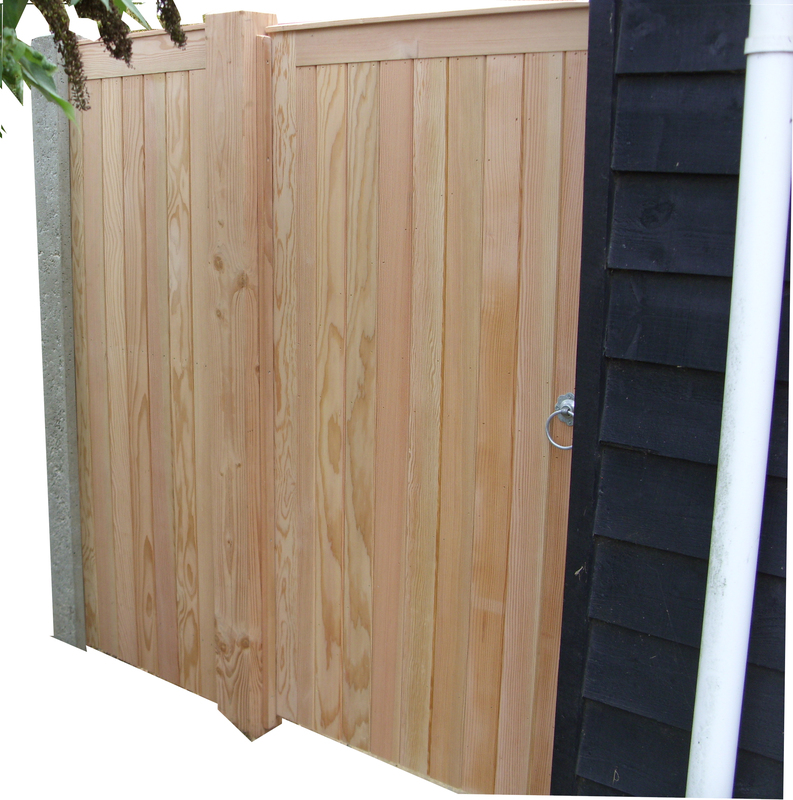 "From start to finish, I am just delighted with the service I received and my new gate, it really has set off my new garden design"
This Butley gate was 4.2m long and made from Douglas Fir then finished with Ebony oil based preservative. Because of the angle of the drive to road along with curves in the garden getting the positioning just right was very important. 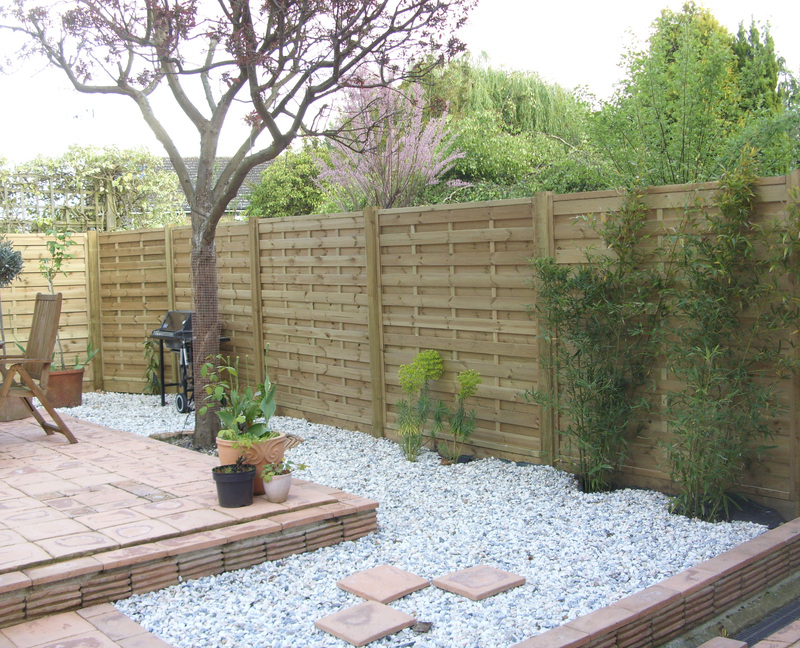 "Thankyou very much for replacing my fence, I am very pleased with the work. The boys worked hard and left everywhere clean and tidy"
"Just wanted to let you know we are thrilled with the gates - have already had lots of compliments"
Above shows the before and after shots of this garden transformation. 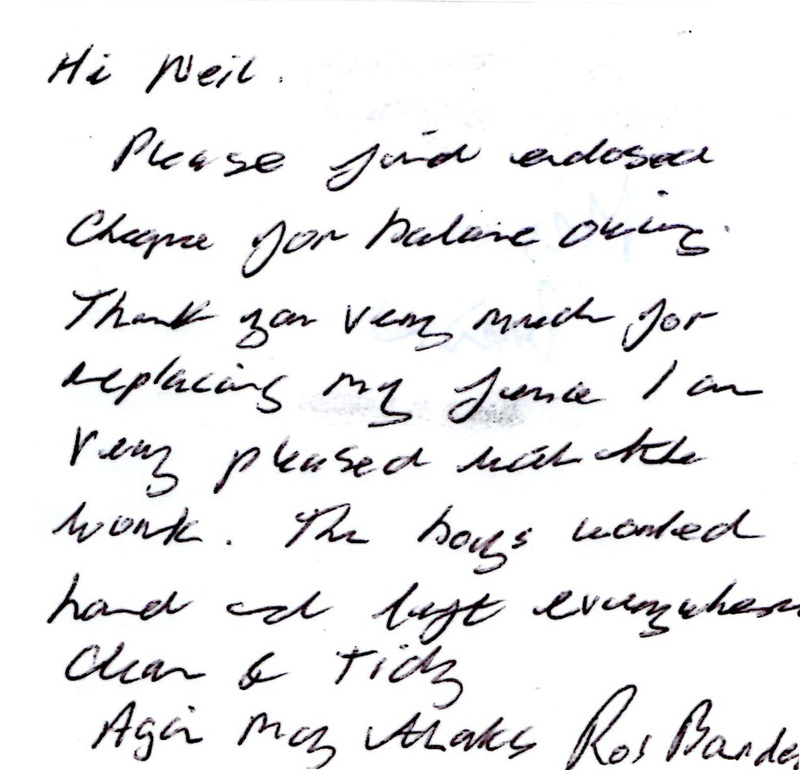 Your fitters were great, such attention to detail, they did an excellent job. 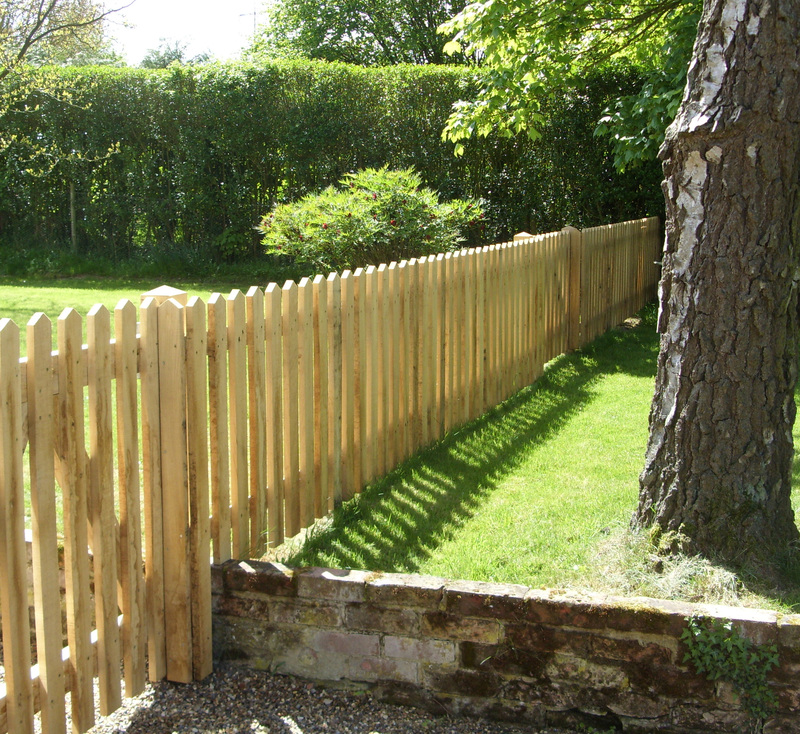 I would just like to let you know we are absolutely delighted with the Oak picket fence. I was so pleased to see it finished tonight. The chaps did well to finish today, I didn't get a chance to thank them, so please thank them for doing such a thorough and neat job. I am pleased with the workmanship and also your two employees, who were excellent at their job and very nice men! we are very happy with our new fence & gates that your guys built . "Now for the Dog !!"